This festive season sees the high street arrival of an extended range of bright and beautiful sensory play toys developed with leading preschool sensory class provider Baby Sensory, in partnership with East Coast Nursery. 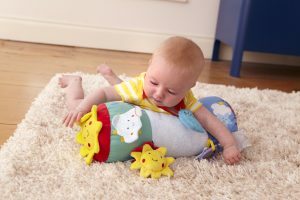 Benefiting from more than 25 years of hands-on research into the different ways babies learn and develop, the ‘Say Hello’ toy range takes inspiration from the popular nationwide Baby Sensory classes with its cute and colourful characters and songs. Designed to support and stimulate babies’ senses, thoughts, feelings and learning from birth, as well as to encourage healthy social-emotional development in toddlers, these toys are a must-have for little ones this Christmas. 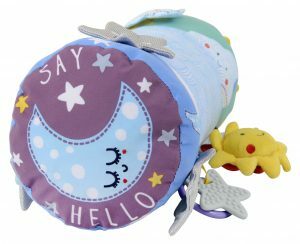 The new extended range of toys includes the Say Hello Dream Comforter, the Say Hello Happy Adventures Stroller Arch, the Say Hello Starry Sky Cot Mobile and the Say Hello to Tummy Time interactive play mat. 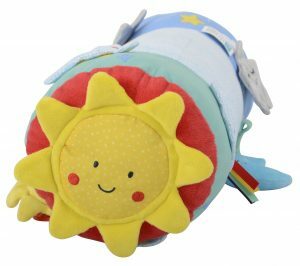 Every Baby Sensory class begins with its welcome song ‘Say Hello to the Sun’ (listen here – https://www.youtube.com/watch?v=pjpzpAHoAVg ), which introduces babies to the sun, moon and the natural world around them. This song, along with its engaging and colourful characters provides the inspiration for the beautiful, contemporary toy range available in major high street stores. More than 30,000 parents across the UK attend Baby Sensory classes every week. Having won multiple awards both nationally and internationally since 2008, Baby Sensory was also the first baby programme to offer a complete class-based approach to learning and development from birth to 13 months.